Team Canada’s coaching staff had a simple message for the nation’s supporters at the World Junior Softball Championships in Prince Albert last week. “Stay rowdy. 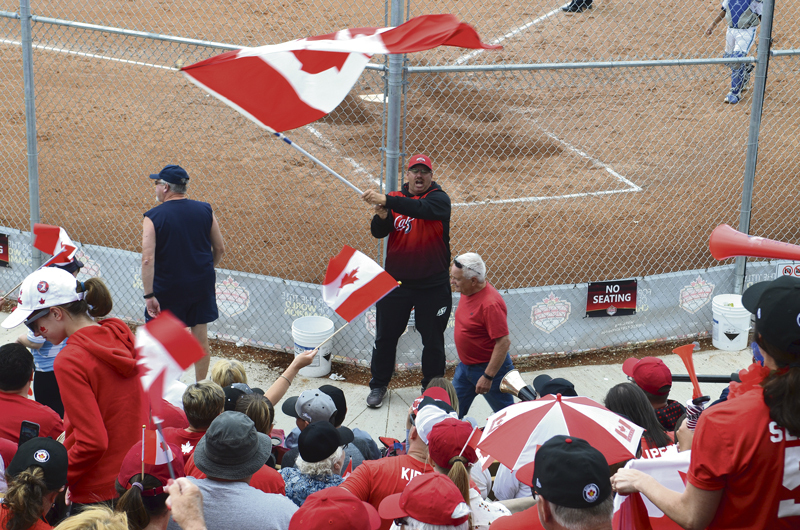 The coaches said in an email to stay rowdy, so we’re staying rowdy all week,” said Warman’s Kevin Kosmynka, the father of first baseman Troy Kosmynka. “(The players) get fired up and know everybody’s behind them,” he said. Kosmynka said it was a really good tournament, with some really good softball. He said he was having fun and he had total faith in the team. Those comments were common no matter who you spoke to, or what country they came from. 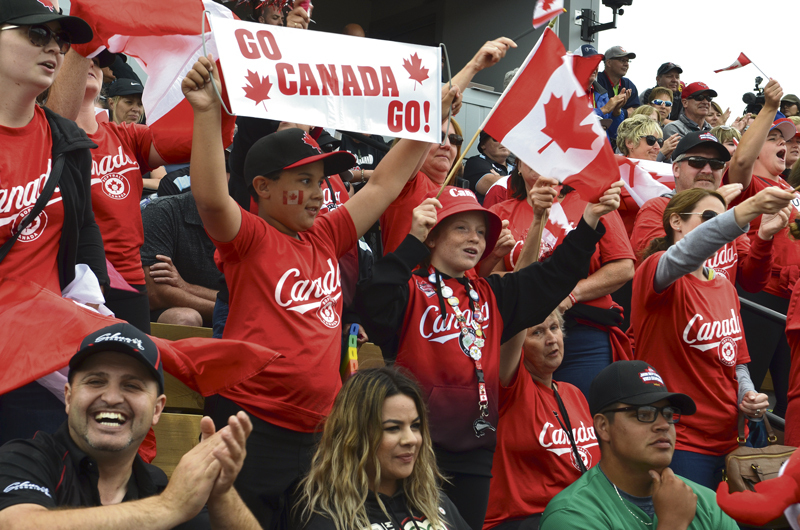 A few seats down from Kosmynka, in the same section of bleachers, sat a small group of parents rooting for Argentina, Canada’s opponent Saturday afternoon. Laura Bria only had good things to say about her tournament experience to that point. “The people here have been very, very kind. If you need anything, everybody offered their help,” she said. While she was having fun, there were some tense moments. 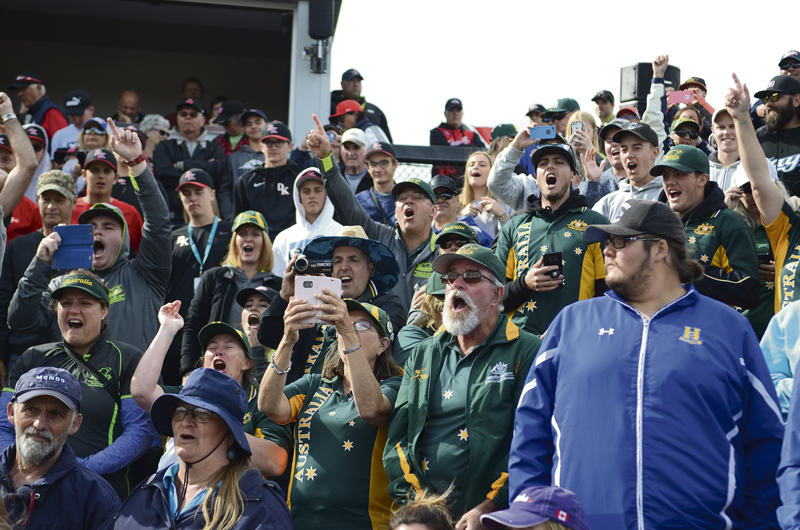 The tournament was ultimately won by Team Australia, and their fans were as loud and as passionate as the group from Canada. 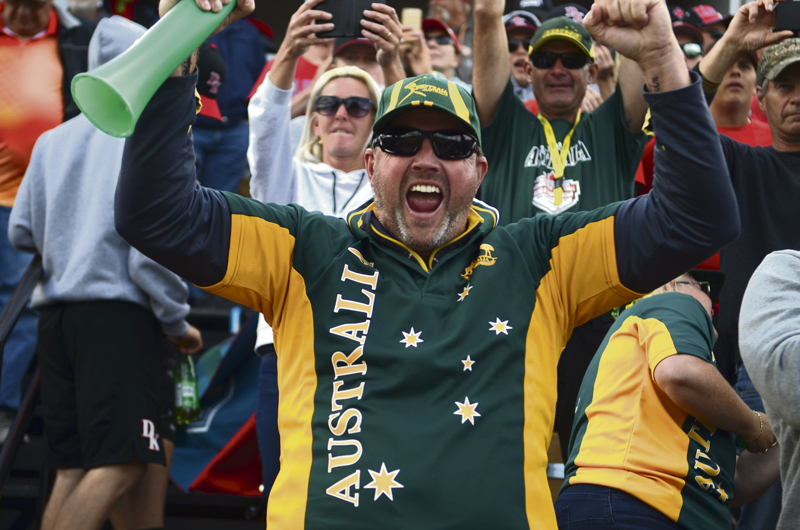 The Australian fans were a constant presence at the field throughout the week, even when other teams were playing. “It’s amazing,” said Courtney Jackson, who travelled all the way from Sydney. The Aussies got a bit of a look at some of the sites Canada has to offer, visiting Toronto, Edmonton, Jasper and Waskesiu during portions of their visit. Jackson was blown away by how many people in Canada would stop to have a conversation, or would offer a place to stay if the Australian delegation was in need. Waskesiu was a popular place to visit. According to South African parent Susan Brooks, their team also visited the lake. Brooks, though, also got a chance to explore Prince Albert a little bit. “I’ve enjoyed Prince Albert. I’ve done a bit of a walk around and looked into the little shops,” she said. She had kind words for the tournament organizers. “I’ve been very impressed, extremely impressed,” she said. But the best part of the tournament, even though South Africa didn’t win, was getting to watch some high-quality ball. “We’ve been able to see most of the big games,” she said.